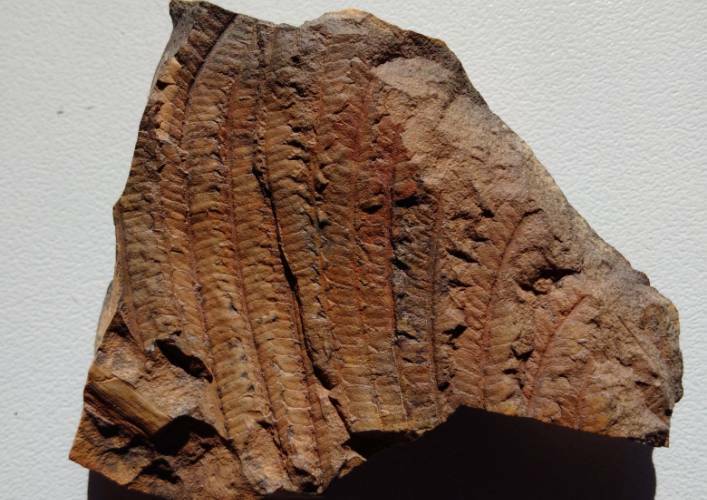 Carboniferous plant-fossil Paleoweichselia halfa n.sp. 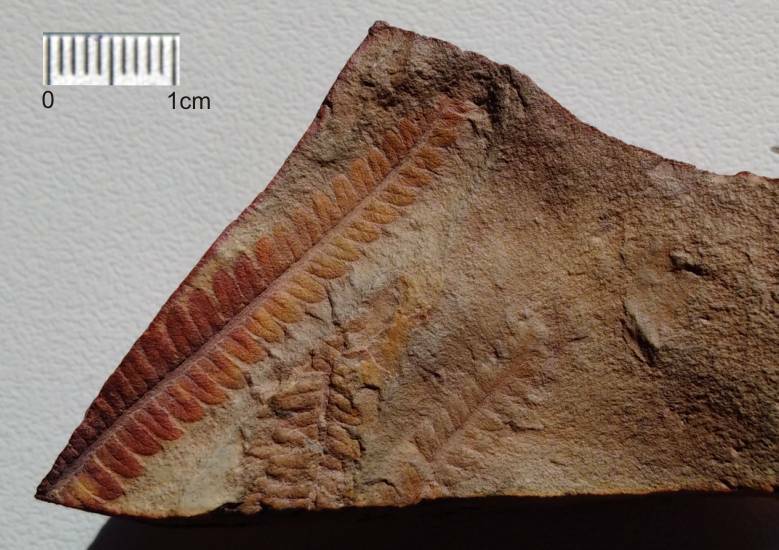 In 2009 Geologists of the University of Dongola (Sudan) found in sediments of Wadi Halfa imprints from supposedly to Weichselia associated plant. Dr. Mutwakil Nafi had sends to the author photos for the determination. 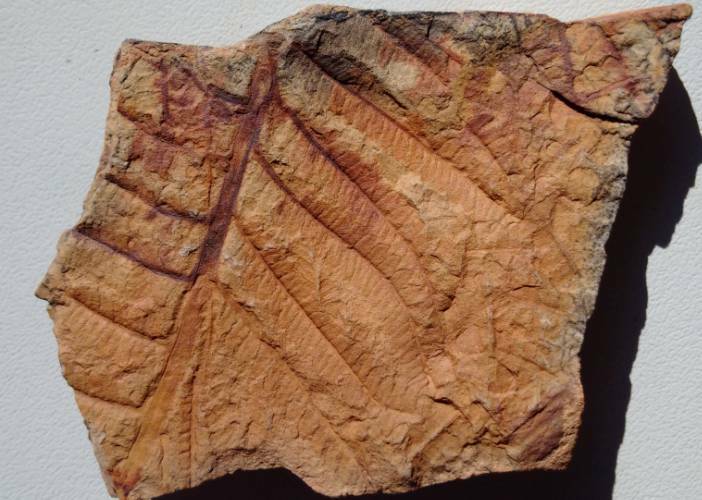 The author found, that the venation of the pinnules is not compatible with the Cretaceous Weichselia reticulata. 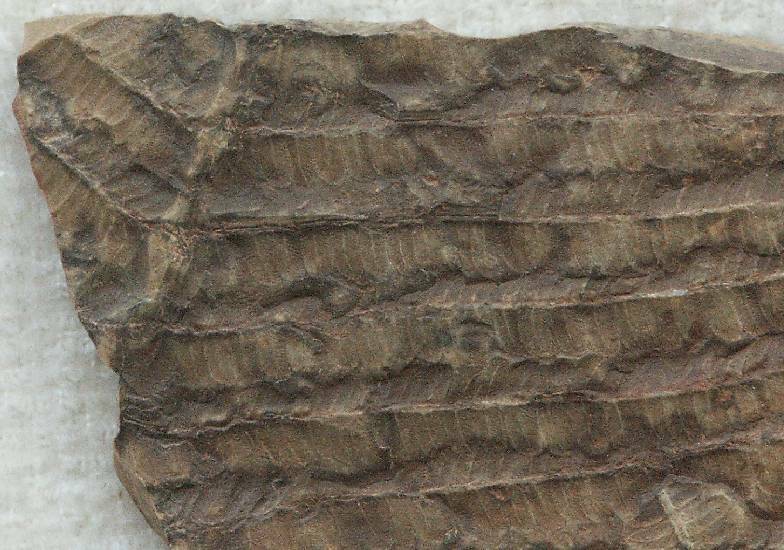 The mesh venation is clear imperfect, similar to Paleoweichselia (defrancei) from the Carboniferous in the Saarland (Germany). 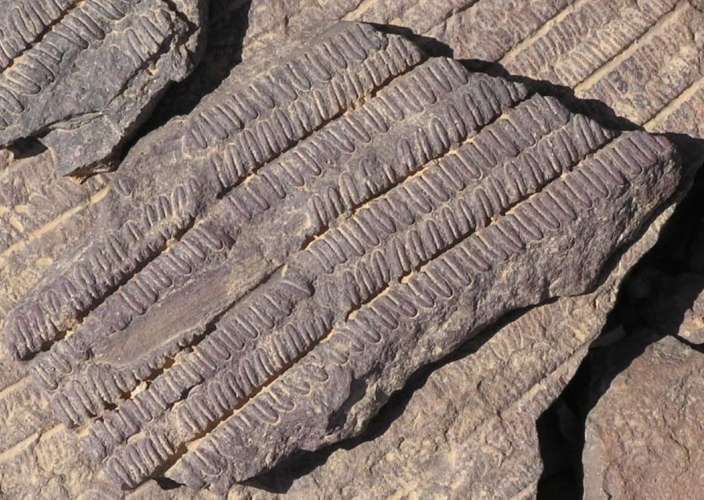 Other forms of Carboniferous flora in parallel horizons in Wadi Halfa (Rhodea, Calamites, Stigmaria) confirm the age of the finds. 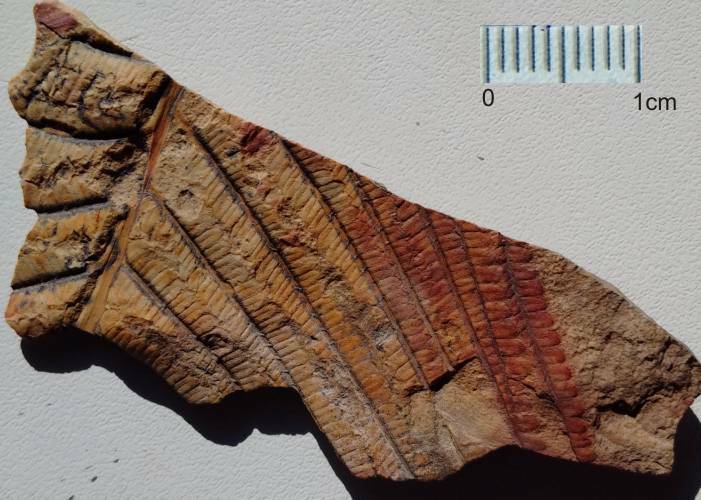 Based on the findings from the Wadi Halfa, the author has than reviewed all them available and unpublished photos from the Egyptian Gilf Kebir, and actually he found some evidence that prove the presence of the same Paleoweichselia in Carboniferous layers of this region. The images from the Gilf Kebir plateau are not particulary revealing. The best images of specimens were found in a "Clayton Crater" south of the plateau. Unfortunately the venation of the pinnules are in poor condition. But the reticulate venation is be seen in the approach. Andras Zboray and Gabor Merkl (Hungary) have made detailed photos. The genus Paleoweichselia was created in 1909 by POTONIE & GOTHAN. 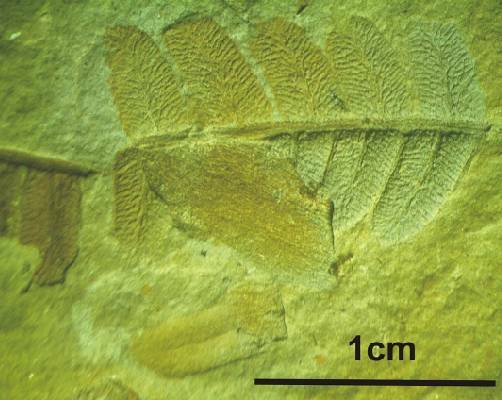 Paleoweichselia is like Pecopteris in the habitus of pinna and pinnule, and has an irregularly developed mesh venation. 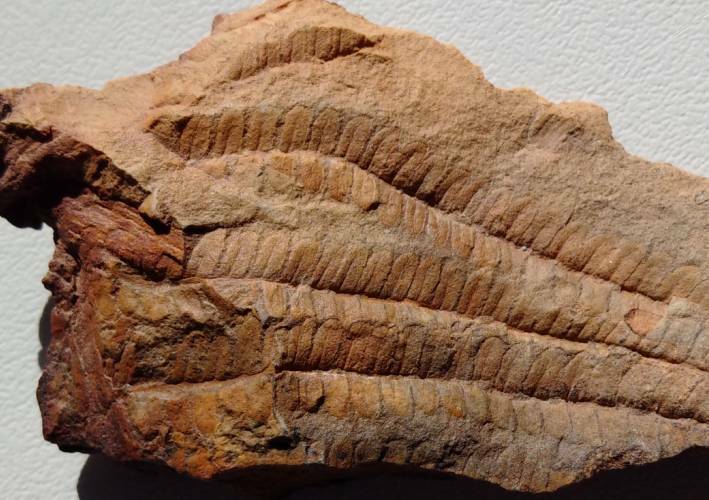 Carboniferous species with a like mesh venation are known from the genus Linopteris (e.g. obliqua BUNBURY). However, the pinnule shapes of Linopteris are mostly linguaeform and the mesh venation is more regularly. 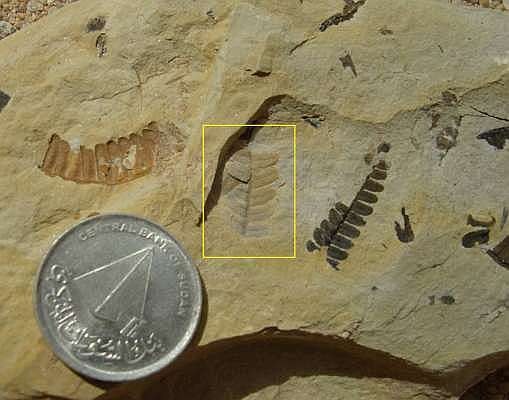 With regard to the pinnule shape, Paleoweichselia is more comparable to Weichselia from the Cretaceous time, which also has a mesh venation. However, Weichselia has a regularly and close-mesh structured venation. So far, there was only one species of Paleoweichselia - Paleoweichselia defrancei - from the Westfal D in Saarland (Germany). The plant has been found in a stud of a coal mining. The author is of the opinion that due to the enormous geographic distance to the Carboniferous deposits of Saarland as well as differences in shape and venation of the pinnule, he can create a new (second) species of Paleoweichselia for the occurrence in North Africa. Note: In the context of the announced documentation, will be the confused diagnosis for Paleoweichselia replaced by a more precise diagnosis, which is oriented only at the new interpreted pinnule-venation of the holotype of Paleoweichselia defrancei BRGNT.